SHAL was founded in 2013 by Peter Stutchbury and Guy Topham who felt that many people in the community were unaware of the rich history and archaeology of Lympne and the surrounding area. 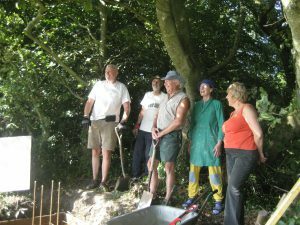 Following strong initial interest, the group registered as a charity in 2016 and is affiliated to the Kent Archaeological Society. Currently there are 42 members of the group who enjoy regular meetings with an excellent programme lectures, and taking part in research on local history and archaeology as well as undertaking projects including experimental archaeology.